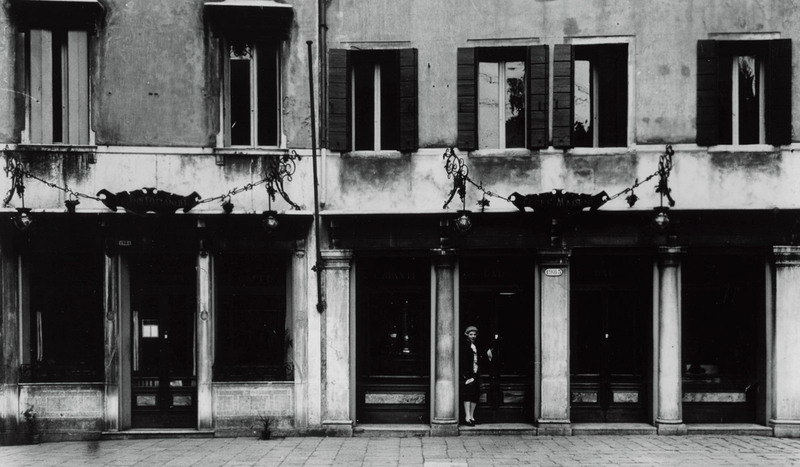 A coffee house opened in Venice’s San Fantin square… One of the side streets off the square still bears the name “Calle del Cafetier”. The Fenice theatre opened in San Fantin square on the 16th May 1792, at a time when Venice was alive with music and theatre. The “Ateneo Veneto”, an institution for the promotion and diffusion of letters, arts and culture, and especially Venetian culture, opened in San Fantin square in January 1812. As a result the coffee house soon became a meeting point for theatre goers, artists and intellectuals. The coffee house was renamed Caffè Martini after the new owner who took over its running and extended and redecorated the rooms. Caffè Martini’s fame grew dramatically as a result of the skills of manager Paolo Montico, who ran the business for around twenty five years and provided its “life and soul”. The business was acquired by the talented entrepreneur Andrea Maso. The coffee house consumed 200 kg of coffee beans a month. The “boss” Andrea Maso also introduced an excellent lunch menu to complement the refreshments served for the Fenice. Though the business survived the restrictions imposed by the war, it closed its doors for the first time in March 1922. In December that year it was bought from its indebted owner by Chianti wine merchant Paganelli. Totally restored and transformed into a luxury restaurant, the business rose from its ashes under the name Antico Martini. A piano bar began to inject new vitality into the business’ traditional night-life role. At that time Venice was becoming ever more a city of art, with the Biennial Festival, the Contemporary Music Festival, the International Cinema Festival, and the Theatre Festival. Venice opened its doors to international and high society tourism and the Antico Martini attracted clients of the calibre of Wolf Ferrari, Toscanini, Charlie Chaplin, Orson Welles, Count Volpi and Giovanni Stucky. The premises were requisitioned at the start of the second world war. Later in the war the Antico Martini became a place of entertainment for American troops, who installed a piano there in order to make music and relax. The piano is still here! The Antico Martini is reborn as one of the most refined restaurants in Venice. The tables of the Antico Martini were graced by the international jet set, artists, poets and cinema stars like Igor Stravinsky, Arthur Rubinstein, Samuel Bernstein, the soprano Anna Moffo, Jean Cocteau, Giuseppe Ungaretti, Nobel prize winner Eugenio Montale, Laurence Olivier, Esther Williams, Edward Windsor and his wife Wally Simpson, and Venice’s newly acquired citizen Peggy Guggenheim. Top food guides like Holiday Magazine, Fielding, the Michelin Guide and Juillard all spoke highly of the menu. The Antico Martini has been a member of the Italian Historical Restaurant Association since the association was set up. Under the patronage of Italy’s Ministry for Heritage and Culture, the association aims to promote and safeguard Italy’s oldest and most prestigious restaurants that have been protagonists in and contributed to Italian history, as establishments that are equivalent to “museums of hospitality” for their histories and furnishings and for the memories they conserve. Lino Lando, a lively and eclectic Venetian businessman, took over the running of the Antico Martini. His intention was to re-launch one of Venice’s most historical Caffès, and to recreate the atmospheres and flavours of the great Serenissima period. The fascination of the Antico Martini is best experienced as the sun goes down. If you happen to be walking through the square you will certainly be attracted by the golden warmth of the light around the premises. If you arrive from calle XXII Marzo, an entrance that first appears austere soon reveals an intriguingly light-hearted personality. Inside you will be surprised by mirrors and mosaics, and a background of relaxing music that invites you to enjoy a special evening in an atmosphere suspended between dream and reality. We are registered in the Italian historical places. To learn more click here.